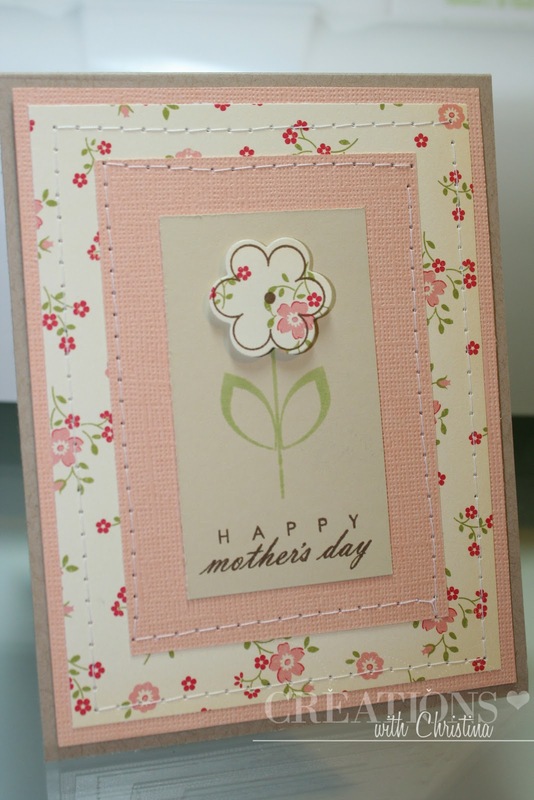 Thought I would share a quick post on a card I made for Mother's Day. I was in the mood to do a little stamping. 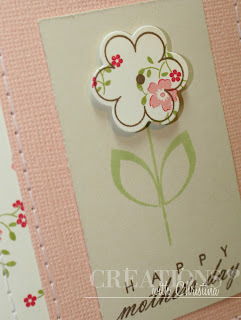 I used the Flower Fusion #2 (Paper Trey Ink) stamp set and die to create the flower. I've been getting a lot of use out of this set of stamps. The sentiment is from Fillable Frame's #4 (Paper Trey Ink). The card is a standard A2 size card with several layers. I wasn't worried about how heavy the card was since I knew I was going to be hand delivering it to my mother-in-law. Hugs to all you mom's. Your Ethan is learning from his mom to be kind and caring. The knowledge you so graciously share with us is astounding, but I also admire the fact you also seem to give that same kindnes and caring to your whole family. Thsnk you. How can he not do cards for them! He sees the wonderful work his momma does! That must be so adorable! How cute! I'm loving your card, cute stamp. What a sweet thing your son did. Great card! Happy mothers day Christina! Happy Mother's Day to you, Christina. Have a wonderful special day. The card for your mother-in-law is beautiful. One question, who gets to keep possession of the card???? What a cute story. Just might have to steal this idea for my Mom's Day card. I do have to do a pop up inside though as she was watching me make a pop up card for teacher's day and said she wanted on also. My boys who ar 8 wrote books about me and made me flowers out of egg cartoons. They gave them to me the minute we got home got to love them they are just like me as I cannot wait to give someone their gife. How sweet of Ethan to include all his female relatives. Love this card it is so perfect for Mother's Day. What a sweet story! Your card is so pretty! Happy Mother's Day Christina! Wow, pretty card. It's so sweet looking. Yes, your Ethan sounds like a very giving boy. You must be doing all the right things. Lovely card! Hope you have a wonderful Mother's Day! I'm sure Ethan will make it wonderful for you. 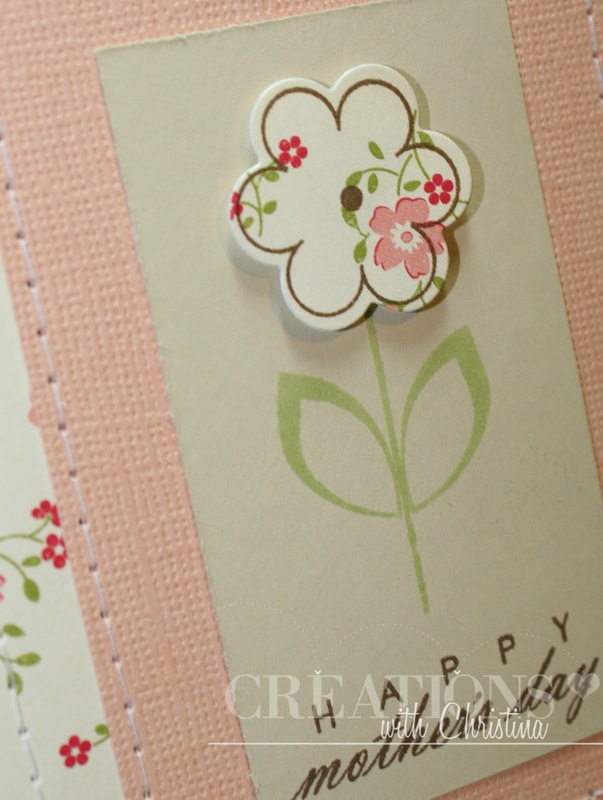 BEAUTIFUL card...love, love, love the stitching! Happy Mother's Day! As Moms and Grandmos we do so much for our families that even we take for granted. Those little moments that they remind us are so sweet. My 6yo grandson came in this week with a petunia that his class had potted for a Mother,s Day gift and he wants me to take care of it till his Great Granny (my MIL) gets out of Intensive Care. We found out 2 weeks ago she has terminal cancer and will only be with us for a few months at the most. He comes in every day asking if his flower is doing OK.
Just wanted to wish you a HAPPY MOTHER'S DAY! Hope you have a super great weekend! Lovely card Christina, i hope you had a wonderful mothers day.